IDJ/Hugh Farmer: The Peak Tram was opened for public service on 28 May 1888. In 1926 an electric motor replaced the original engine. This was manufactured along with other electrical gear by Metropolitan-Vickers, Trafford Park, Manchester, UK. 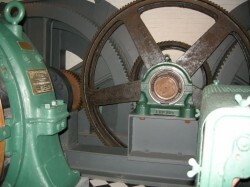 At the same time the winding gear was supplied by Bever, Dorling and Co, Bowling Ironworks, Bradford, UK. 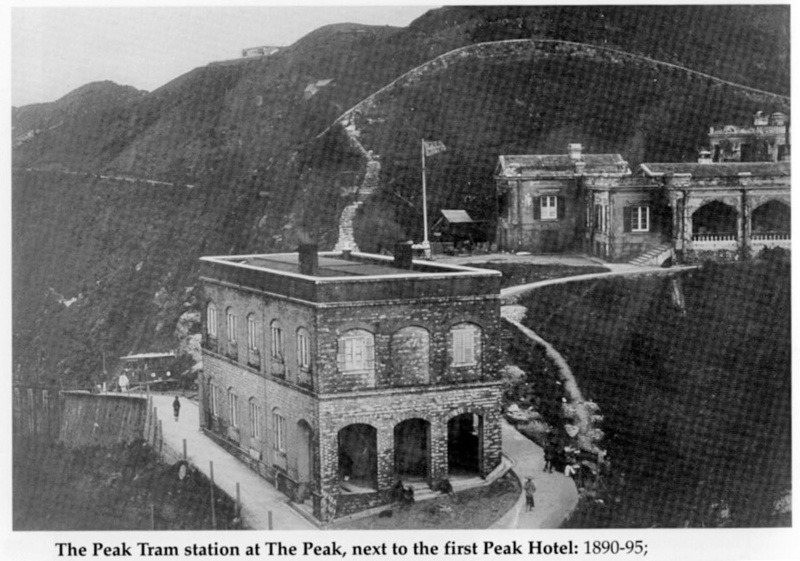 I traveled by the Peak Tram frequently during the 60s when I was living at Severn Road. First class was 60 cent and 3rd class at the rear was half fare. The 3rd class was semi-opened and one enters the terminal by a rear entrance reserved for workmen and servants. With monthly tickets, I preferred to use the rear entrance on Sundays & Public Holidays when there would inevitably be a long queue for the First Class. The conductors in their white uniform, who appeared to have been working on the tram all their lives, were mostly friendly and funny characters. 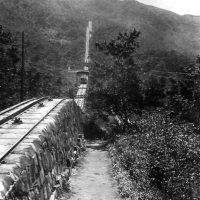 They liked to walk down the aisle at an angle at the steepest spot which was the May Road station, creating a scene. 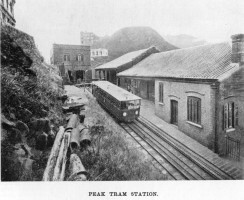 Halfway up, the Tram would stop at one scenic spot (while waiting for the downward tram to stop at May Road station); the tourist guide would assure the tourists that they were just ‘winding up the rubber band’. The old building of the lower terminal which was adorned with a huge clock was dismantled circa 1966; replaced by the present tall building (St. John’s?). 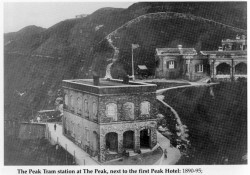 The older structure gave a distinctly antiquated experience, as if one was traveling in time to a unique place inhabited almost exclusively by the Expat community. The construction of the Upper Terminal that happened a few years later gave us a place for yumcha in our neighbourhood. Before that, there was only The Peak Cafe, the food was not particularly impressive then. The Chinese restaurant, Lo Fung, was operated by Tsui Tim, the Chinese Manager of The Peninsula Hotel. It opened around the same time as the Hung Hom Cross Harbour Tunnel. 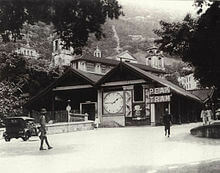 For weeks, people were driving across the tunnel from Kowloon and up The Peak as if it was a pilgrimage; jamming The Peak Road in the evenings. There used to be a 7-pax minibus CMB No.30 operating a circuit route from the Upper Peak Tram Terminal to & from Plantation Road and Matilda Hospital at Mt. Kellett. Coming home late meant one had to walk through the quiet dark winding roads often thick with fog; it was a bit eerie I must confess.